Some of you must think I’m off my rocker, as Chip Kelly is known for great success through his extraordinary 46-7 tenure in Eugene. Yet he made some mistakes that prevented him from winning the National Championship; mistakes that were not football related. The question on my mind: will he repeat these blunders at UCLA? Going to Oregon Club on Mondays was a ritual for many Oregon boosters/fans. Former head coach Mike Bellotti would throw us some tidbits about the team and regale us with funny stories. The information was never earth-shattering or helpful to opposing teams, but it was just plain fun. Mike had a sense of humor and was truly charming with the fans; everyone liked Coach Bellotti enormously. Chip Kelly just killed the experience for us. He would tell us nothing, and even went out of his way to show his feelings that the event was a waste of time for him. He was painful to watch speak publicly, and he made Oregon Club a bore, but the guy was winning–so we put up with it. Other disconcerting stories began to surface, as Kelly skipped meetings with major boosters and even went out of his way to refuse to sign a football for a friend of mine as he spun and walked away. Chip Kelly truly alienated the group that was the backbone of continued Duck success, and he did not care. The tales of Chip turning away former players became legendary, and the program today is still mending fences with the disaffected. Chip bit the hand that fed him, and thus I wonder: “how long will this work in Westwood?” Perhaps more interestingly, “will it work if he isn’t winning 10-11 games a year?” You can’t burn bridges with alumni, former players and boosters and expect it to go well if you are not winning fabulously. I will never forget the former TV sports anchor who sat in my office and shared with me the issues that Chip had with the media. Chip truly loathed the press, and angered the entire state of Oregon media as he would ridicule those asking questions and made the sportswriters know at every encounter who the smartest person in the room was. 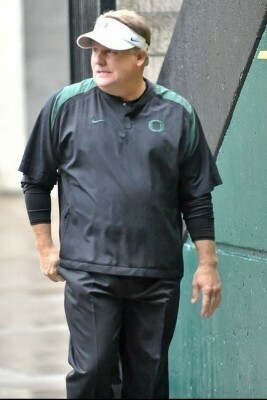 Within a year he had all the Oregon media hating him, and wincing at the thought of another haughty news conference with the Oregon head coach. The story this journalist told me was surprising to hear in person, yet had become routine at Oregon press conferences over time. Without reciting it all–this journalist told me the question he asked Kelly, and it was a usual one for the media to ask the week of a game. Yet Chip took it personal, and then made his response personal to the sports reporter. 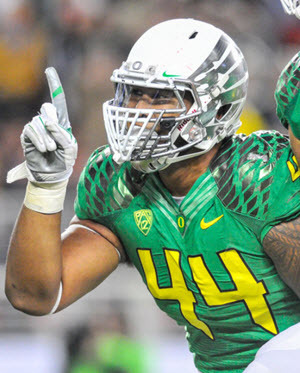 DeForest Buckner reminds us how we needed more like him that Chip scared off. Remember when we would see a two minute listing of Oregon’s supposed recruiting violations at every ESPN telecast for a couple year period? This sportscaster revealed that it was an example of how when the media had a chance to get back at Chip, they did (whispers were that ESPN hated working with Chip at this time). This would go on to damage recruiting and leave the Ducks without a few crucial defensive recruits who were scared off by the potential sanctions. You know–the kind of players that would have been the final pieces to winning a national championship. The sanctions later turned out to be almost nothing, but the damage created by Coach Kelly himself was ultimately far worse. All because he liked to torgue off the media…. This is well-known fact for Oregon fans, but Bruin fans may not know some of the policies Chip had with the Ducks. 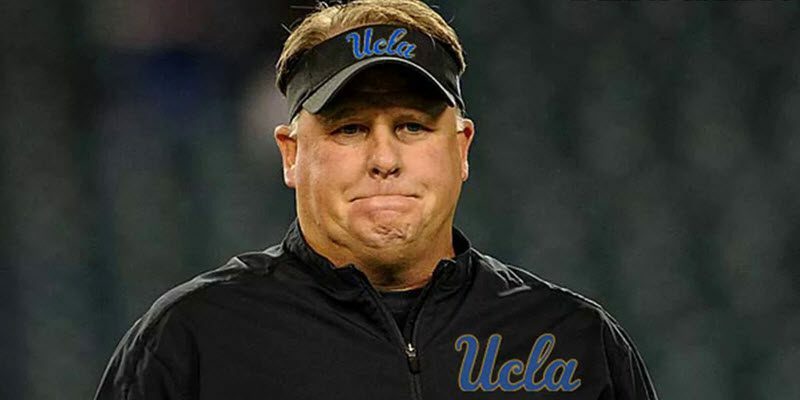 It will interesting to compare to how UCLA conducts their recruiting process under Kelly. Will Chip make the same mistakes? The issues were two-fold: he insisted that he give approval after his own process, before any offer was issued, and he often did not follow-up with players who were interested in Oregon and potentially could have made a difference for the Ducks. The recruiting process for players goes on much sooner now than six or seven years ago, and it was during Chip’s time at Oregon that the transformation was taking place with national recruits. Chip insisted that he personally would have to watch film on every player and approve a scholarship offer. As busy as he was–often an offer was extended long after a player had given up waiting on Oregon (despite being initially interested!) and had committed to another Pac-12 school. Precious players slipped through Duck feathers simply because of process decisions by Chip! Without naming names … a particular player selected high in the NFL draft originally wanted to come to the Ducks, and he was at a position of need. He loved his visit, and wanted to verbal to Oregon, but was told to go home and “think about it.” The signals given by the coaching staff were frequently misunderstood, and with the lack of follow-up recruits were all to often lost to other schools (the one I’m thinking of actually went to UCLA). 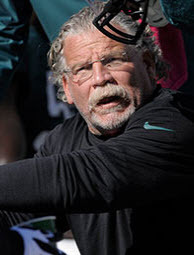 Chip’s defensive coordinator with the Bruins is Jerry Azzinaro, who is a brilliant tactician, but known also to loath the recruiting demands of college football. This will be fascinating to watch over time to see if Chip has changed, or if the Bruins experience the underachievement in recruiting that Chip oversaw at Oregon. Will he be different at UCLA? It is going to be part of my fall entertainment, as it will be for Bruin fans! (Bruin fans–please take note of our Commenting Rules as there will be no insulting, no name calling, no belittling or even back-handed compliments. If so, then your comment will be deleted immediately and your IP Address blacklisted if it is especially objectionable or happens more than once.